You’ve heard it before a million times: magic pill blasts fat like never before, the one weird trick to achieve the body of your dreams, feel better than ever with this easy shake detox, consume nothing but our magic tea to feel the fountain of youth, the perfect workout, the secret to vitality, and so on… While there may be some truth buried under a few miles of their marketing budgets, most of these claims are facetious at best, manipulative at worst, and indisputably misleading. 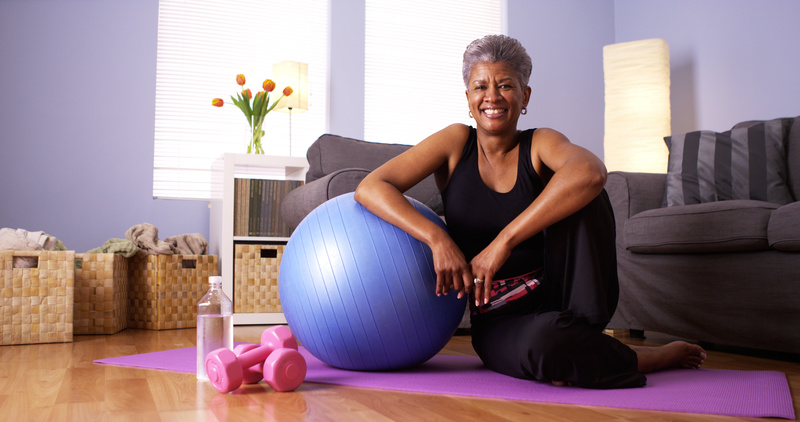 As we’ve discussed before, exercising at home can be a real game-changer; it has been just that for many of our clients, trainers, and friends. From saving time and money to convenience and comfort, exercising at home can enable people to live a healthier and more full life. Here’s the Secret to Burning Fat and Building Muscle at Home: there isn’t one. Across the board, there are universal principals that everyone must adhere to. If those principles are violated, the quick fix may do as it says, fix something quickly, though temporarily. These 6 steps will enable you to take control of your own health and maximize the limited time and energy you have. A reference guide summarizing this process can be found at the bottom of this page; you can keep it around your home or on your phone as a reminder! Make an appointment and hold yourself to it; if you’re working with a coach they’ll make sure you remember! When you’re training at home, it’s easy to let “I’ll start in 3 minutes as soon as I finish this…” turn into 30 minutes later, and then you no longer have time to do what you planned. We’re all human, and when working out at home, a small lapse in focus can quickly turn into a full conversation with a family member or roommate, a nap, or a Netflix binge. Get ahead of these distractions proactively, for example, silence your phone, alert those you live with, and use the TV for music or make the remote inaccessible, to start. When you’re at a health club, it’s easy to look around and pick what you want to do. At home, you’re going to need a plan. Know what exercises you’re going to do, in what order, and how much of each to avoid natural lulls. Hire a coach or use one of the many great programs available for free. Barbell bench pressing every Monday or always using the same cardio machines? Just because your home or office gym doesn’t have the same tool doesn’t mean you need to scrap what you love. Focus on the intent of the exercise (the movement pattern) such as performing weighted push-ups or using dumbbells. Dumbbells not heavy enough? There are options for progressions other than just weight! Changing the position, range of motion or speed, performing drop sets, using thick handle attachments, and more, all allow continued progress. 6 – Work Hard and Recover! No one ever improved their fitness just because they went into a health club. Results are the effect of sustained hard work followed by recovery, and fortified by quality nutrition, over a significant period of time. This is true in a gym, at home, anywhere – now go get it! To build a solution more tailored for you, schedule a strategy session with a coach by reserving one of the remaining spots! Just want to get more information? Fill out the form below to download your complimentary copy of our eBook, The Ultimate Guide to Home Workouts, with the full explanation of why and how to exercise at home, with specific programs for what to do, with no more equipment needed. Want to get moving right away? We’ll schedule a complimentary workout for you to feel what it’s like to exercise with a coach in the convenience of your own home!